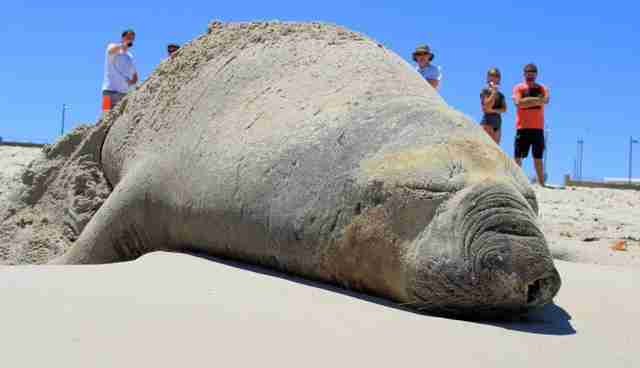 Beach-goers in Western Australia were joined by an unexpected visitor yesterday -- a large southern elephant seal, weighing an estimated 4,400 pounds, who turned more than a few heads after deciding to mosey ashore for a bit of rest and relaxation. 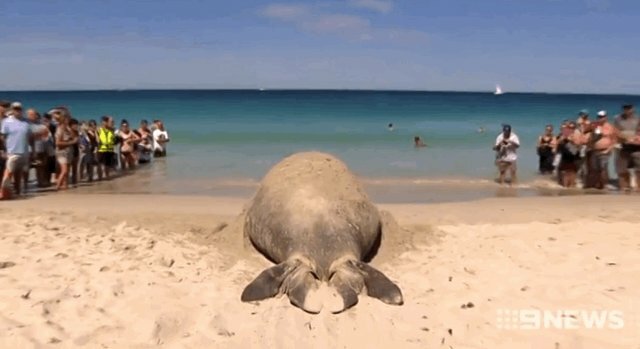 Crowds soon gathered to get a better look at the massive animal, prompting wildlife authorities to cordon off an area around him -- but only after one rude spectator got close enough to give the dozing seal a light slap on the rump. "If it is harassed by people trying to get too close, it may feel threatened and react aggressively," the Department of Parks and Wildlife later warned. "Seals can inflict a nasty bite similar to that of a large dog so it is important to keep a safe distance of at least 30m and not get in between them and the water."